The online version of this article (doi: 10.1007/s12630-010-9413-2) contains supplementary material, which is available to authorized users. In the unanticipated difficult airway, an anesthesiologist or otolaryngologist may perform direct laryngoscopy with a rigid anterior commissure laryngoscope. There have been case reports of using the anterior commissure laryngoscope for laryngoscopic rescue in difficult airways.1,2 We describe a case in which the view we obtained using two different video laryngoscopes was improved over that seen by an experienced otolaryngologist using an anterior commissure laryngoscope and over that seen by an anesthesiologist using a direct laryngoscope. This observation provides anecdotal support for the role of video laryngoscopy as an early rescue device when direct laryngoscopy affords an inadequate laryngeal view. This report is presented with the written consent of the patient. A 41-yr-old man presented with a recurrence of a squamous cell carcinoma of the tongue. On this occasion, we planned a diagnostic panendoscopy tracheostomy, bilateral neck dissection, composite mandibular resection, and reconstruction. Twelve months earlier, the patient had undergone a panendoscopy, bilateral neck dissection, mandibulotomy, partial glossectomy, and a free forearm flap to the floor of the mouth. Seven months later, a recurrence prompted cisplatin chemotherapy and irradiation with 70 Gy delivered in 35 fractions over seven weeks. The anesthesia chart from the first operation revealed no problems with bag-mask ventilation; direct laryngoscopy offered a Cormack-Lehane (C/L) grade 1 laryngeal view. The patient’s airway assessment prior to the second operation revealed an obvious flap reconstruction of the right tongue, modified Mallampati 2 view,3 mouth opening greater than three finger breadths, and normal neck flexion with slightly restricted extension. He had full dentition and a prominent overbite but could just approximate his maxillary and mandibular incisors. His anterior neck was swollen and firm to the touch. His body mass index was 21 kg·m−², and he denied any gastro-esophageal reflux. We felt that direct laryngoscopy would be difficult, but not bag-mask ventilation. Anesthesia was induced with midazolam 2 mg, remifentanil 40 μg, propofol 150 mg, and succinylcholine 100 mg iv. 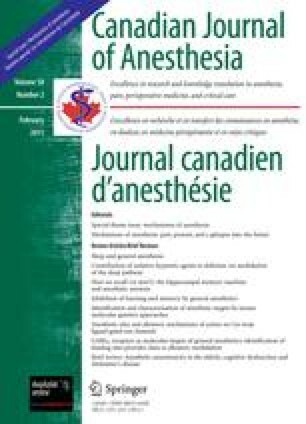 Following induction of anesthesia bag-mask, ventilation was easily achieved. The staff otolaryngologist inserted the anterior commissure laryngoscope as part of the panendoscopy. Since this was achieved with some difficulty, the surgeon introduced an Eschmann® Tracheal Tube Introducer (Smiths Medical International Ltd, Hythe, Kent, UK) into the patient’s trachea over which an 8-mm (internal diameter) endotracheal tube was advanced. The best laryngeal view obtained with the anterior commissure laryngoscope, by using external laryngeal pressure and considerable force, was a C/L 2-B. Once a tracheostomy had been performed, three different laryngoscopes were compared by one of the authors (S.K.). Direct laryngoscopy using a Macintosh #3 provided a C/L 3 view. The Airtraq Optical Laryngoscope (Prodol Meditec, Viscaya, Spain) and the GlideScope Cobalt Advanced Video Laryngoscope (AVL) (Verathon Medical, Bothell, WA, USA), both indirect laryngoscopes, provided better views compared with the previous two laryngoscopes. No external laryngeal pressure or increased force was required, yet C/L 1 views were achieved with both devices. The patient’s glottis was very swollen, yet the Airtraq (Fig. 1) and GlideScope (Fig. 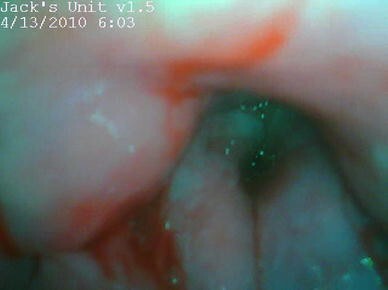 2) laryngoscopes provided comparable laryngeal exposure; however, the latter offered a better quality image. There have been previous reports of improved laryngeal views with the GlideScope4 and the Airtraq5 compared with direct laryngoscopy. The anterior commissure laryngoscope is also widely regarded by otolaryngologists as the device of last resort. This report compares the laryngeal views obtained by both the direct and the indirect techniques, but not by endotracheal intubation. The latter was not attempted using the Macintosh, Airtraq, or GlideScope. 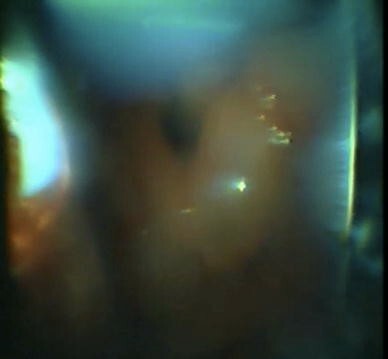 This case suggests a potential role for video and optical laryngoscopy in the unanticipated difficult airway. The set-up time is minimal and success can be achieved quickly. Although this patient’s trachea was not intubated with either indirect device, both devices provided better laryngeal views with less perceived force and no additional maneuvers compared with the direct Macintosh or the anterior commissure laryngoscopes. It must be emphasized that a laryngoscopist with prior familiarity with the equipment and the required technique is essential for a device to provide an optimal laryngeal view or successful airway management. These objectives are best achieved with frequent use, even when such a device may not be required. The role of video and optical laryngoscopy in the anticipated difficult airway is uncertain. As the features associated with successful laryngeal exposure and endotracheal tube delivery and advancement are elucidated, hopefully the role of these devices in the anticipated difficult airway will become more apparent. There remains a need for suitably trained providers to perform further studies with clinically relevant outcomes. Richard Cooper is an unpaid consultant to Verathon Medical and has received equipment from both Verathon and Prodol.